£9.00p per pair with QD studs. 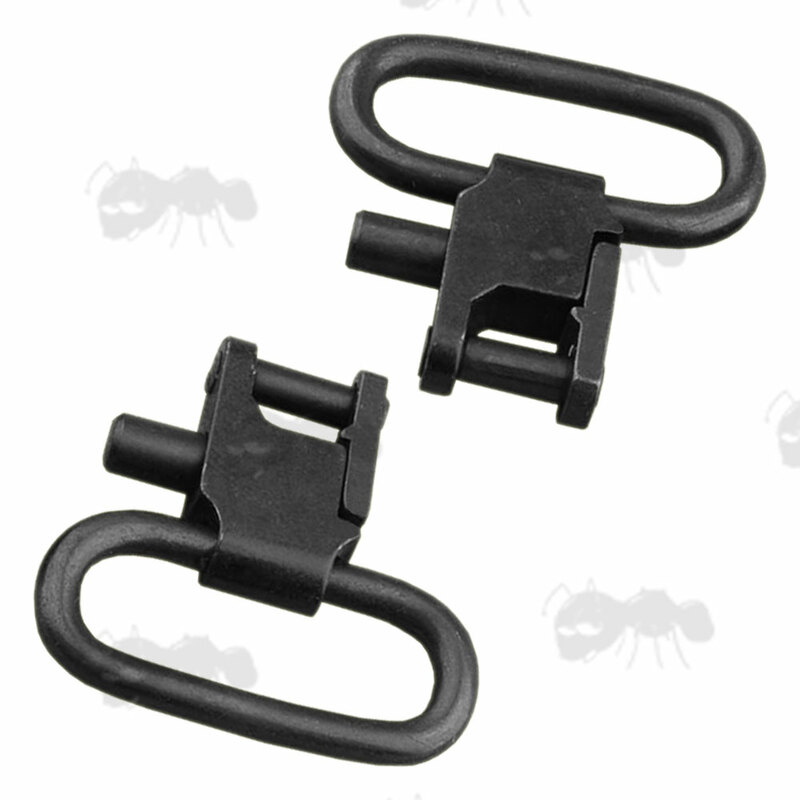 Pair of QD gun swivels. For slings up to 27mm / 1.06" wide. 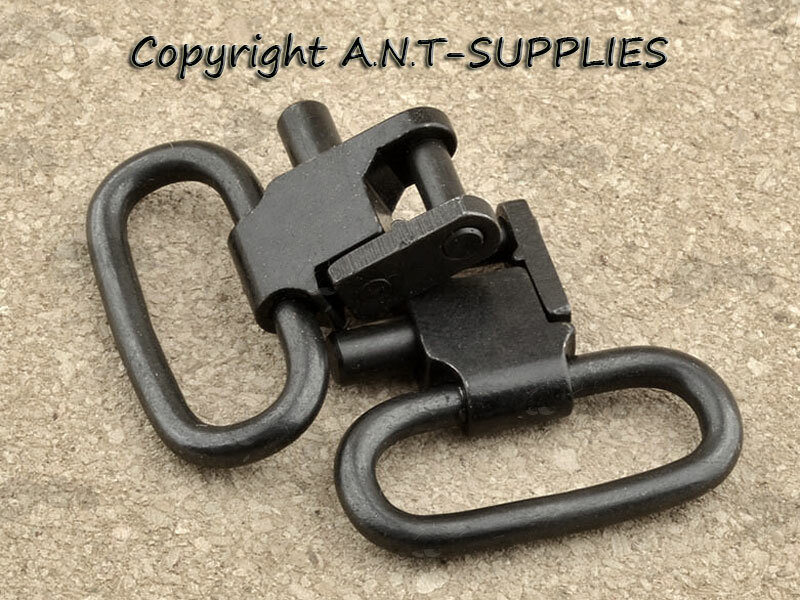 Fits onto QD studs for quick and easy attachment or detachment. Woods studs are option F, machine studs are option G, shown here. Please contact us if you need an alternative, similar priced set.